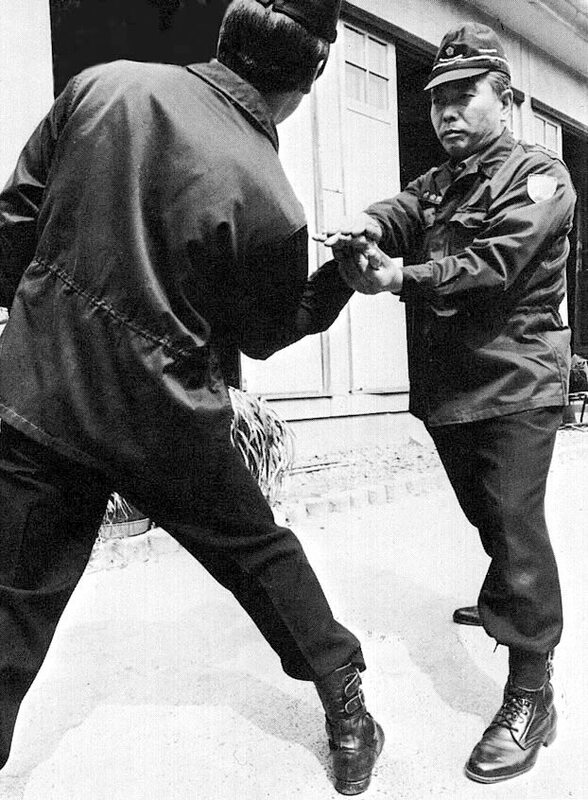 Taiho Jutsu (逮捕術), which means “Arresting Techniques” in Japanese, is a synthesis of different martial arts (Judo, Aikido/Aikijutsu, Karate Wado Ryu, Kenpo, Keibo-Jutsu and boxing), specially crafted for the needs of the Japanese police. It is used today by all the law enforcement administration in the Japan (Metropolitan police of Tokyo, Imperial Guard, Military…). The Taiho Jutsu has been created at the end of the 19th century, but it really took shape in 1947. In a harsh post-war context, Japan must rebuild under US occupation, which imposes severe restrictions on the practice of martial arts. Under these conditions, it becomes difficult for the Japanese police to maintain order in a country going through a difficult period. However, the Japanese will take advantage of their history and martial culture by bringing together the greatest masters of the time (like Kyuzo Mifune, Saimura Gorō, Hironori Ōtsuka …) to participate, in cooperation with the Tokyo police, in the creation process of the Taiho Jutsu. The philosophy of the Taiho Jutsu is a turning point in the vision of maintaining order in Japan. Indeed, the ultimate goal of this system is to control an individual without affecting its physical integrity. The Japanese police, at this time, integrate some rules similar to the Western mindset where the preservation of the individual has its importance without sacrificing the effectiveness of the arrest or endanger law enforcement officers. Like many arts martial Japanese practiced nowadays, Taiho Jutsu is a Gendai budō (現代武道): modern martial arts (by comparison with the Koryu dating back to before the Meiji restoration).